Here's an open day with a difference. 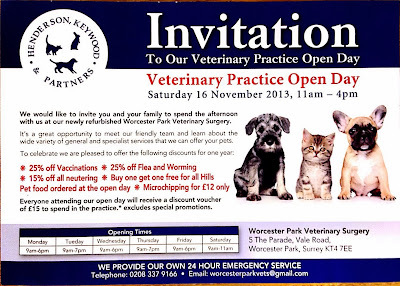 I've heard of school open days and police open days but next Saturday (16th November) right here in Worcester Park we will be treated to a Vet's open day. The Henderson Keywood and Partners veterinary practice in Vale Road has just been completely refurbished and are holding an open day from 11am-4pm to show off their new facilities and give people (and their pets) a chance to meet (or sniff) the team there. Henderson Keywood and Partners run six practices (although they only list three on their website) and have been in the business for over 50 years. They specialise in small animals - family pets and the like, as opposed to cattle and the sort of creatures that would close down the high street if found roaming about. 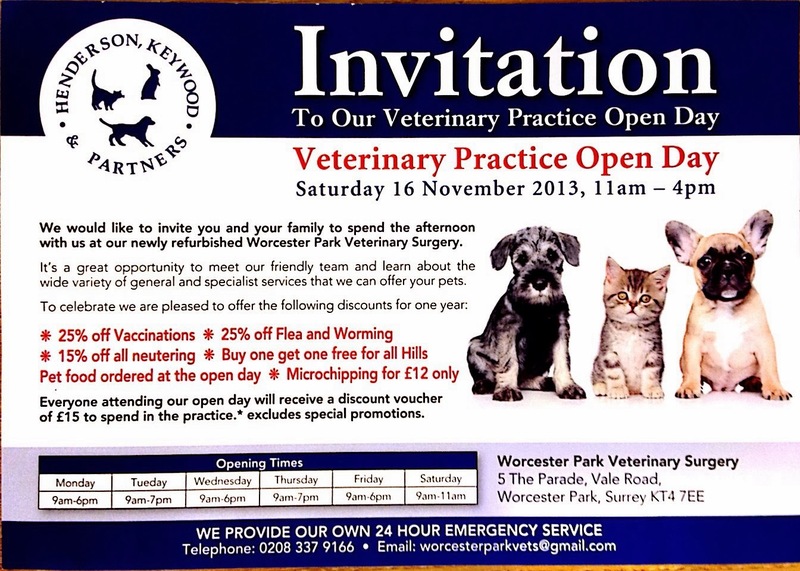 So if you have a pet or are thinking of getting one, it might be worth going along on Saturday to have a look.